Do you live in an area where severe storms occur from time to time? The weather that can occur in any area of the country can vary depending on the time of the year. Something you may want to consider is seeking federal assistance to build a storm shelter. A storm shelter is also known as a safe room as it is an area of your home that is meant to stay intact in high winds and falling debris. You might be surprised to know you can get federal assistance to build a storm shelter or safe room in your home if you know where to look. 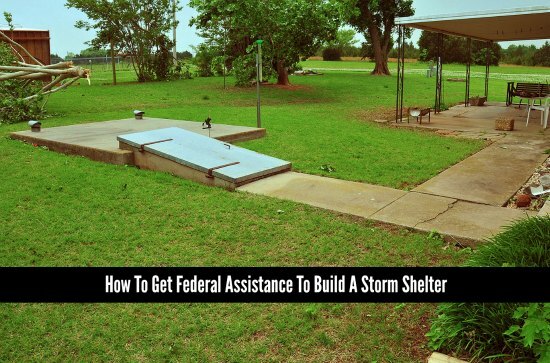 There are many types of federal assistance to build a storm shelter that are readily available. You can apply for a financing or apply for a Hazard Mitigation Grant. The process for applying for assistance will vary based on the type of program and the requirements for eligibility.